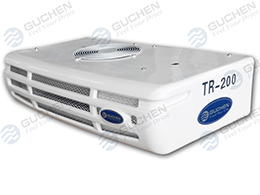 Truck refrigeration units for perishable food or certain temperature sensitive cargo road transportation -- Guchen offers a full range of truck refrigeration unit solutions for your refrigerated truck, cold chain transport, insulated truck body, and perishable food transport ation applications. 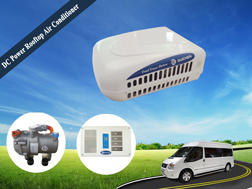 Tips: According to different vehicle models, cooling requirements, transporting cargos and ambient temperatures, please choose the suitable one under the help of our sales person (if need). 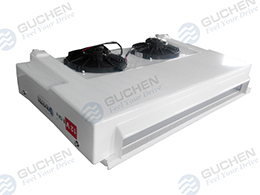 ★ Why Choose Guchen Truck Refrigeration Unit Manufacturers? Truck refrigeration unit generally includs truck chiller units to transport fresh goods and truck freezer units to transport frozen foods on the road. 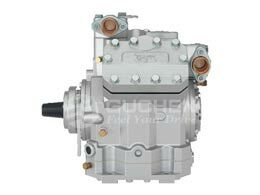 According to truck refrigeration units' driven types, Guchen supplis vehicle engine driven units, diesel engine driven units and DC battery powered refrigeration units. 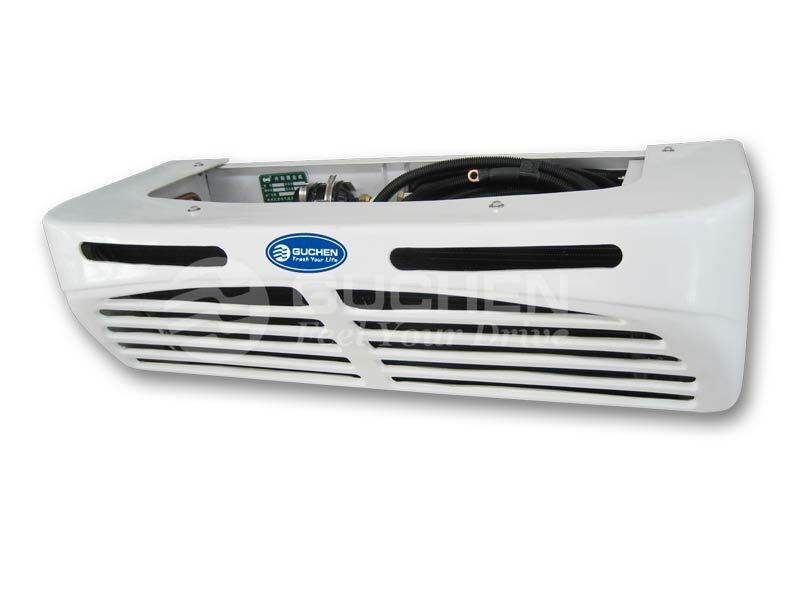 There are two kinds of truck chiller units for your choice, Eco-friendly R134a refrigerant, Front-mounting truck refrigeration unit, hot gas defrosting (Auto. 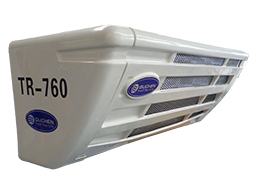 /Manual), fast cooling ensure your cargo always be at safety temperature, not be decomposed during transport. 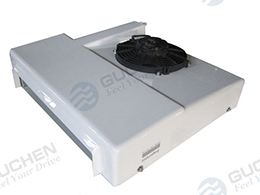 C120 Truck Chiller Units with 1100W refrigerating output suitable for 2~10 m³insulated truck body. 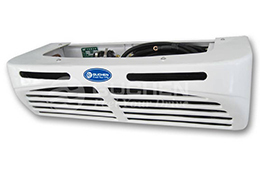 With 2800W cooling capacity of C280 Truck Chiller Units used for 13~21 m³ chiller truck body. Truck freezer unit is divided into non-independent engine driven truck refrigeration unit and independent diesel driven monoblack transport truck refrigeration Units. 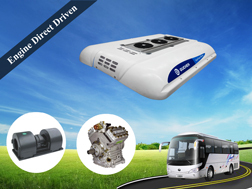 Non-independent engine driven: reasonable price, stable working performance, low error rate, suitable for short-distance cold-chain transportation. 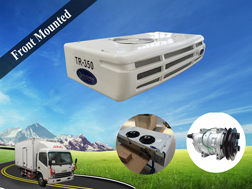 Independent engine driven: easy to install, self-powered, reliable working performance, standby system, suitable for long-distance cold chain transportation. 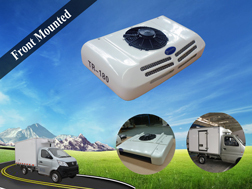 TR-180 truck freezer units are used for 5-12m³ and 1.8m length of refrigerated truck bodies, with 2100W cooling capacity can make temperature in truck body rage from -18℃ to +30℃. These small truck refrigeration units are used to transport frozen or fresh foods. 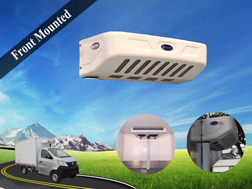 With 2200W cooling capacity, TR-200 truck freezer units can transport frozen goods in pickup truck or small refrigerated truck with 6-15m³ box volumes and 2m truck length. 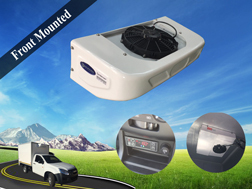 This split truck freezer units are very popular in pickup trucks in hot areas. 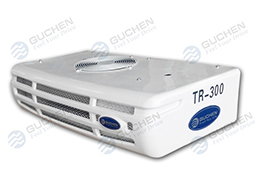 With 3010W cooling capacity, TR-300 truck refrigeration units are used for 10~20m³, 3m length of refrigerated truck bodies. 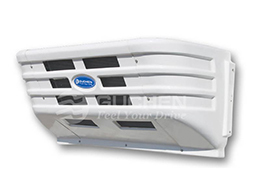 With its split structure, it is easy to install and suitable for most of trucks. 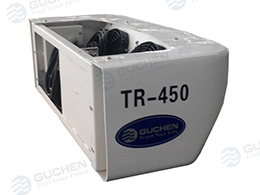 With one-piece structure, TR-460 truck refrigeration units loading capacity is increased very much. 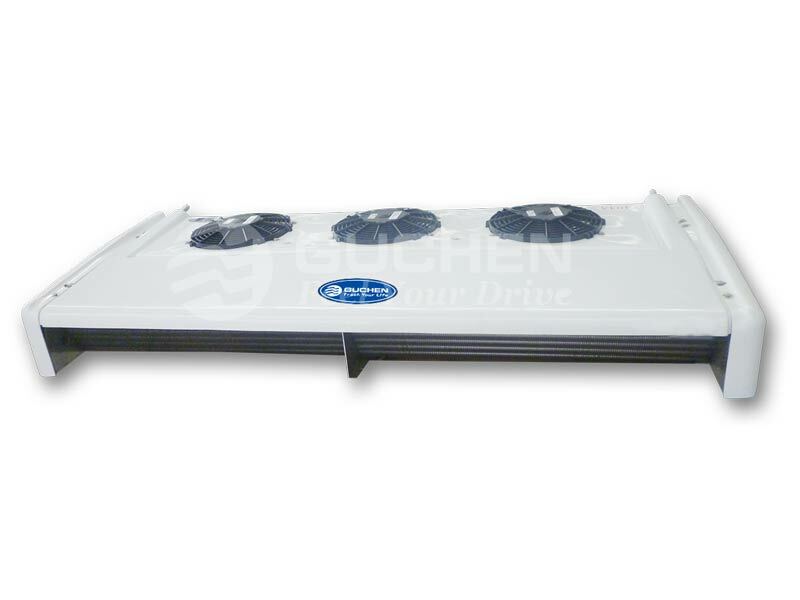 With 4395W cooling capacity, popular for 15-25 m³ meat hook refrigerated truck bodies. TR-560 truck reefer unit is used for 22-35 m³ refrigerated truck bodies, with its 5296W cooling capacity, its inner temperature can range from -20℃ to +30℃ to transport frozen , deep frozen or fresh goods, mostly used for the meat hook refrigerated truck bodies. 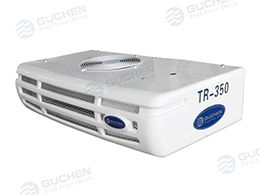 Guchen as the best truck refrigeration units manufacturer can supply TR-350 truck refrigeration units, which are mainly to apply in 15~25m³ small or medium scales of refrigerated trucks with 3.5m length. 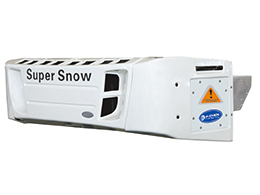 With its 3815W cooling capacity, it is used to transport frozen or fresh goods. TR-450 truck reefer unit can install in medium-sized refrigerated trucks with 18~25m³ container volumes. With its 4100W cooling capacity and condenser front mounted structure, it is very suitable for most of medium-sized trucks with 4.5m length. 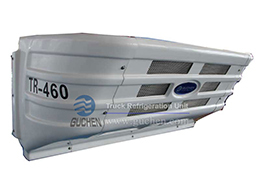 With split structure, TR-550 truck refrigeration units are very flexible in condenser installation, front mounted condenser or under mounted condenser. The cooling capacity is 5800W, which can makes 20~30m³ refrigerated truck bodies with 5.5m length temperature range from -18℃ to +30℃. 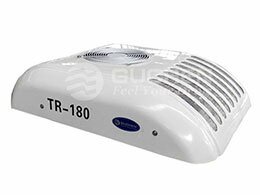 TR-600 truck freezer units are suitable for high temperature up to 50℃, with 6050W cooling capacity at 0 ℃, can make temp. 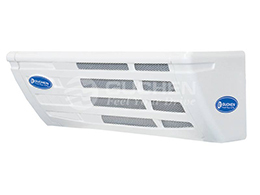 range from -30 to 30℃ to keep foods frozen or fresh, applying in 30~40m³ big refrigerated truck bodies. 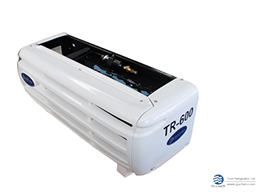 With 5800W cooling capacity, TR-650 vehicle refrigeration units are suitable for lager refrigerated truck bodies with 22-35 m³ volume and 6.5m truck bodies’ length. 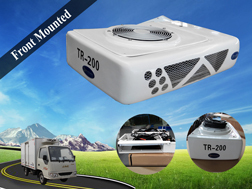 TR-760 transport refrigeration units have 7225W cooling capacity, which can make 35-45 m³ refrigerated truck bodies temperature down to -20℃. 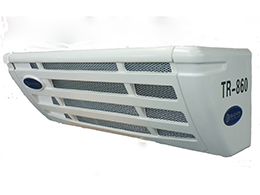 With condenser front mounted or under mounted, suitable for most of truck conditions with 7.6m length. 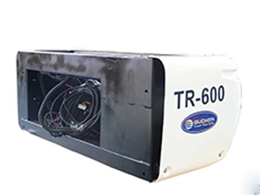 TR-860 refrigerator unit for truck is suitable for 40-50 m³ refrigerated truck bodies, with 7850 W cooling capacity, can make 8.6m length truck container temperature range from -20℃ to 30℃ on the road. 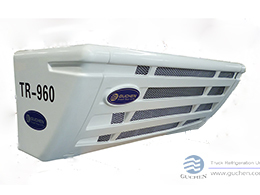 TR-960 refrigeration unit for truck with the biggest cooling capacity (8425 W) in Guchen’s direct engine driven refrigeration units, which are able to make 60m³ refrigerated truck box with 9.6m length temperature down to -20℃ on the road. TS-700 truck reefer units are suitable for 25-35 m³ refrigerated truck bodies. TS-1000 truck reefer units and TS-1200 truck reefer units as the diesel driven truck refrigeration units can used in 35-65 m³ refrigerated truck boxes. With independent structurers, it is not affected by engine, so it has stable and reliable working performance. 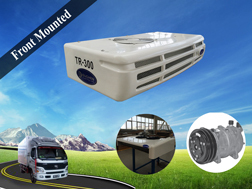 TS-1000 and TS-1200 diesel driven truck refrigeration units can be used in multi-temp truck refrigeration units according to different requirements. 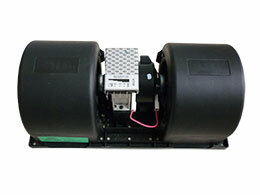 ● High production capacity, timely delivery. After payment we can directly shipping and send you ship photos together. ● Quality assurance, using world top brand truck refrigeration unit parts and all truck reefer unit has passed CE /ISO9001/TS16949/QS9000 certificate and meet the international market standard.